Bible painting - Can you do this? Yes, you can. This is beautiful! Thanks so much for sharing. Visiting you from Sharing His Beauty link up. Blessings! okay, week #2 of bible painting…I really have to try this. I love the watercolor pencil technique. That I think I can do. I’m better with a pencil than a paintbrush, and this technique doesn’t make me use the brush too much…thank you for the wiki tutorial as well as the ideas and lesson! I’m gonna do it! I am so excited to learn you will try this. I can’t wait to see the results. Please share on our Facebook Group. Are you on Facebook? If so, look up Word of God Speak Community (about 280 people). Beautiful! I was raised to not mar the pages of Sacred text, but as I have grown older, I realize it is a beautiful way to connect with God through His words. Thanks for sharing this! I really know what you mean. At first I thought oh my I am going to paint over these words. Then I heard – yes but you are going learn these scriptures and that’s what is what I really want. So I am not ‘marring’ but working at learning. It feels wonderful to have these scriptures as part of me. Janis, you have such great ideas! I introduced my daughter, whose 8, to your ideas from last week and she drew her first few Bible Pictures! I don’t see a way to add pics, otherwise I’d attach them. I can’t wait to show her the watercolor ideas! Thanks for all your help! If you are doing the same scripture you can post them on my Facebook Group Page – called Word of God Speak Community. Or you can send them to me and I will post them next week. I think that is great that your daughter is loving this. I am just starting to get into Bible journaling (or painting) and so far I LOVE it!! I recently purchased a journaling Bible and some different art materials. It definitely is a work in progress, as I learn to try different things. It really helps me soak up the Scripture verses I’m reading and lets me visualize them, so when I open my Bible to that page later on, it will remind me of those verses again! Plus, it’s quite relaxing and a lot of fun! I totally agree Ann. It has been a wonderful experience to see colour and picture the verse. I also have been making colouring pages and those have been great too. I am new at this as well. Thanks for giving us more biblical insights as well as painting tips, Janis. Looks like a lot of fun, and as you’ve pointed out, it probably would help me to retain what I’ve read. Thanks for the linkup, my friend! Maybe you will join us. I hope so. I actually said all six scriptures to my hubby this morning. A little hesitant with one of them. 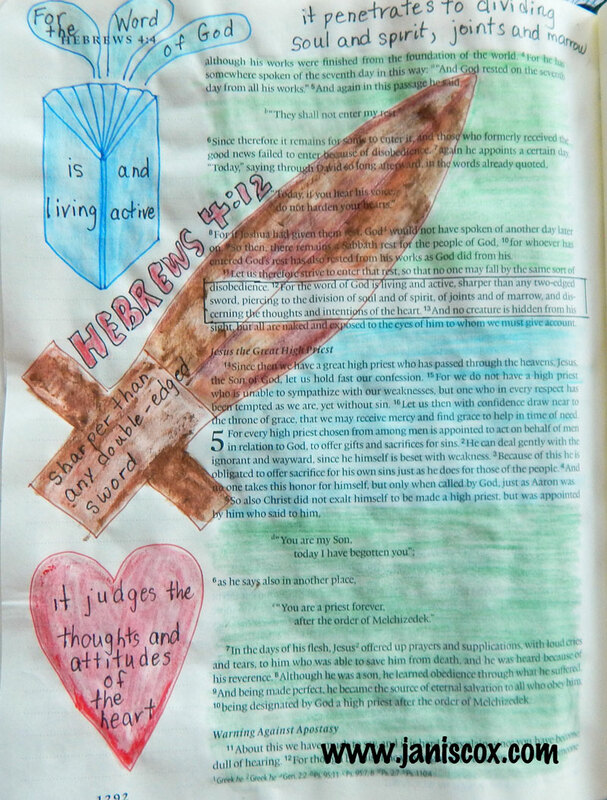 When I journaled my way through the Bible this way last year, with drawings, notes, whatever I wanted to do in the margins on any particular day, it set me free to connect with the Word in a whole new way. Another fellow scribbler. I have found this has opened a whole new world of study. I would love to see some of your pages. I wish I were as talented at drawing as you Janis! I have colour coded things in my Bible in the past with Precept Ministries. 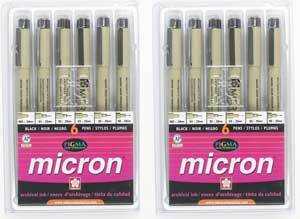 But I stopped after awhile because I found it hard to see the words I was colouring. How do you still see what is underneath the picture? And how do you choose which Scripture on the whole page to emphasize? 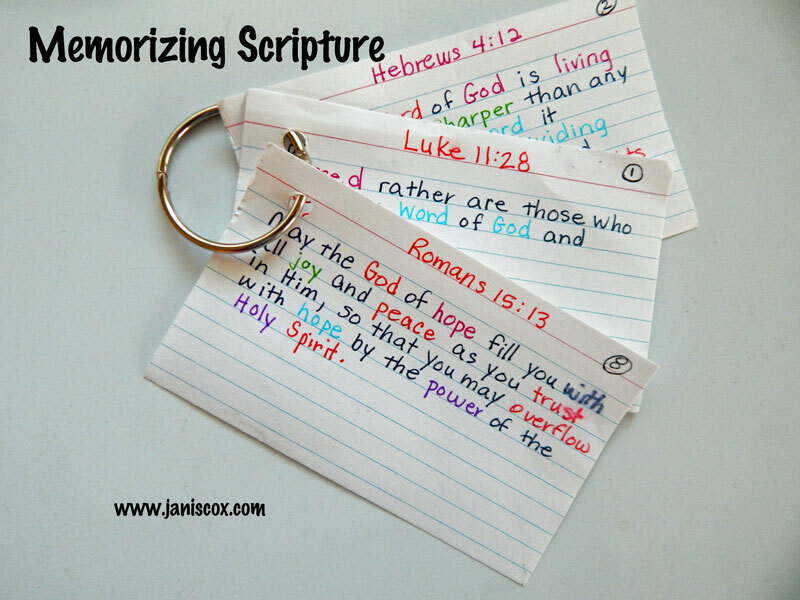 Love that you are showing people a new way to memorize Scripture! I did not do much painting until after 2000. I took some courses – once a year – and never touched it again. God has been pushing me further in this endeavour. He is the one inspiring me. I don’t like underlining words in my Bible – I do make notes. I have a study Bible that I do NOT draw in. I have many Bible from the thrift store and my newly purchased journaling Bible. How do you still see what is underneath the picture? I try to paint lightly over the words – it doesn’t always work but since that Bible is for art only I am not concerned. And how do you choose which Scripture on the whole page to emphasize? Somehow God gives me the scriptures to study. I didn’t go looking for them. So that is the scripture that gets emphasized this time. Maybe next year I will purchase a new journalling Bible – there are many pages in our Bible so I am not worried – yet. 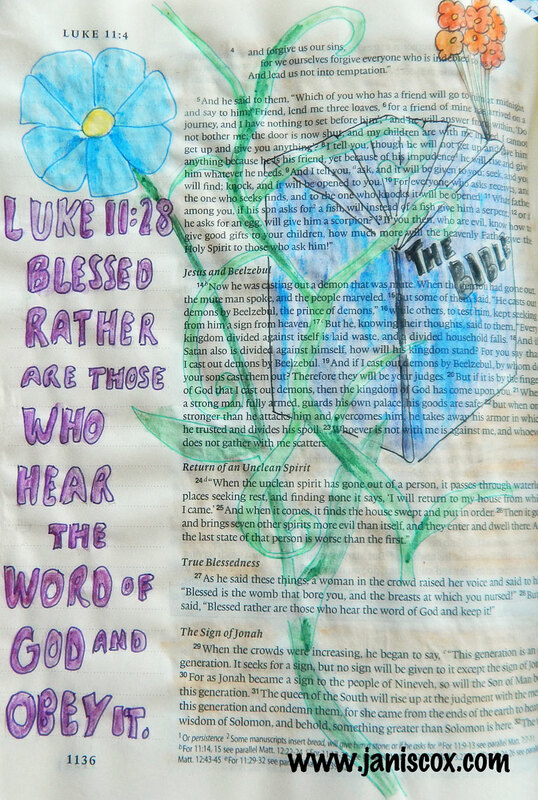 If somehow I do come to a scripture where I have all ready painted, I will draw in a different Bible. I couldn’t have come here at a better time. I am about to start scripture memorization with my children and I just know that scripture painting is something that they will love! I haven’t tried is but boy am I excited to try it. Thank you. 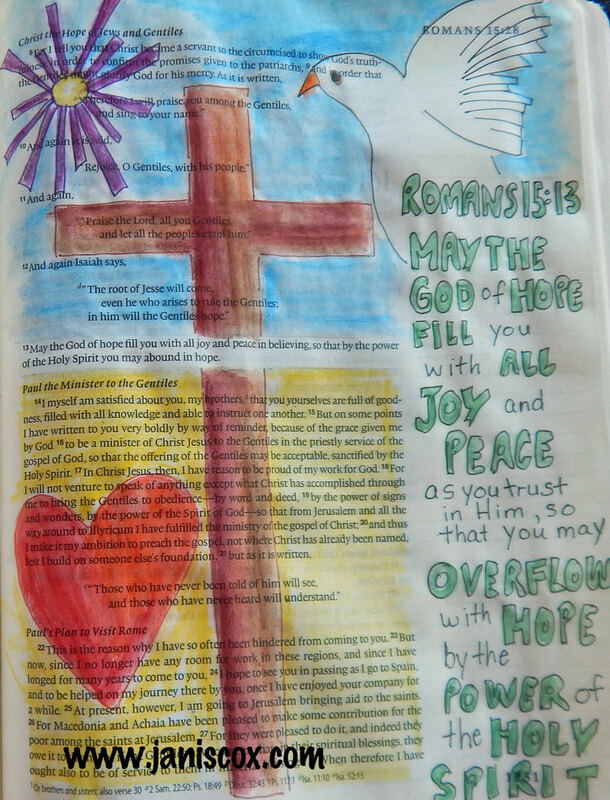 I am thinking of making colouring pages for children as well as a study for the scripture. Do you have any particular scriptures you are going to study? As for painting in your Bibles, I bought extra ones from the thrift store. They are a great way to practice Bible painting. Right now we are going through Galatians 5:22,23 and then looking at verses for each fruit of the Spirit. We are doing love right now for the next 2 weeks, since we are spending 4 weeks per fruit. Janis loved the way you connect ways to help remember scripture. Living in God’s truth is Bible painting is an excellent way of reminding ourselves about His word. Really enjoyed stopping by and witnessing your faith. Thank you so much for your encouragement. I have been studying scripture since I gave me life to Jesus in 2001 but with my painting I now can see the Word as well. I hope you visit again. Always a pleasure to visit here. Memorizing scripture, I know I need to do more of this. I still can recall scripture from long ago, so in my heart I know they are there when I need them most. Thanks for the party. Yes I wasn’t really memorizing scripture so it would stick. That’s why I started to look at one verse at a time. Of course, it meant studying everything about it. But the one verse is where I stayed. Join us at our Facebook group. We would love to have you. I’m smiling and smiling this morning because I wrote about Hebrews 4:12 this week, not even remembering that it was one of our focus verses — I’m teaching through Hebrews with my Sunday school class and put out a mid–week blog post mostly for their benefit as a little “reminder” to stay in the text throughout the week. This week I chose to focus on Hebrews 4:12 because we didn’t give it enough time in the classroom. I get amazed at how God is speaking to us, so often, about the same verses! That is so cool. I will check it out. God speaks – we have to listen.